Josh Holmes, the studio head for halo 5 guardians made a blog post on HaloWaypoint talking about Halo 5: Guardians and in particular the co-op campaign – topics covered the fireteam AI system, characters, new mechanics, environment, and the decision behind dropping split-screen support. This marks the first in a series of developer blogs that will have contributions from the development team and cover a variety of different topics. 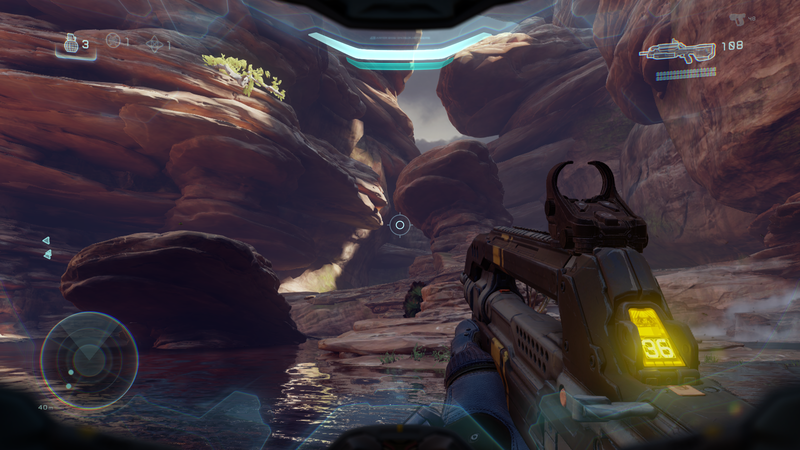 Halo’s campaign was originally built to be a single-player experience. 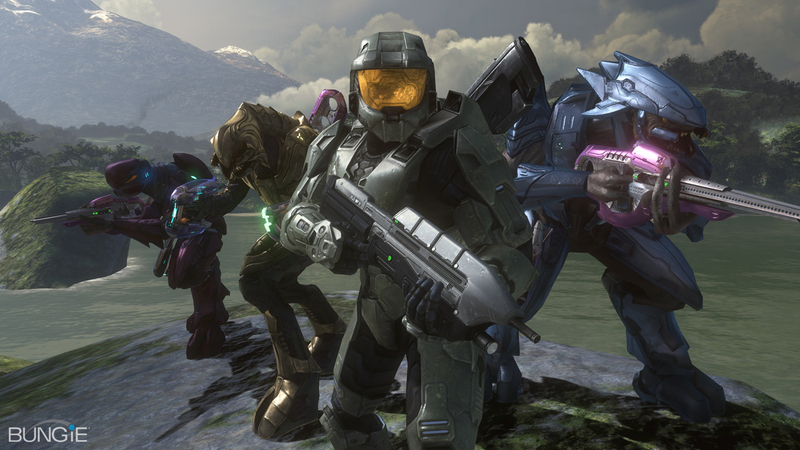 When you joined a friend in their campaign session you were simply either a copy of the chief or the arbiter and his elites in Halo 3. You were joining along for the ride and helping to lighten the load. This changes with Halo 5 guardians as it’s designed for co-op campaign from the ground up allowing for a new level of depth. There are two distinct campaign modes – solo and co-op – each will have its own separate save file. 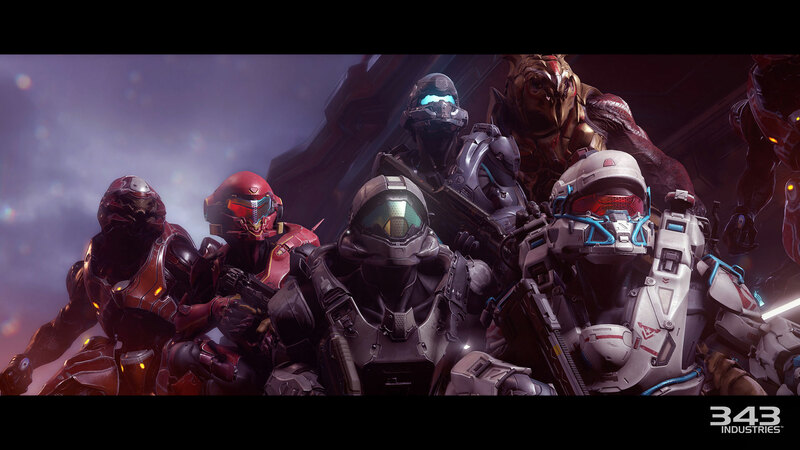 As the leader of the co-op session you will play as the leader of each fireteam – Master Chief or Spartan Locke. From there, you can invite friends to take over the remaining 3 characters of your fireteam. Your friends can drop in and drop out with no interruption to the experience. If your friends leave the session, the AI takes over their character seamlessly. Depending on which team member you are controlling at any given time, your perspective on the story may shift as you experience slight contextual differences in dialogue. It’s a subtle thing and the core of the story always remains the same, but it’s something 343 hopes will add to the replay value of the co-op campaign. Any achievements, collectibles, or skulls unlocked during a co-op session are granted to all players present at the time. 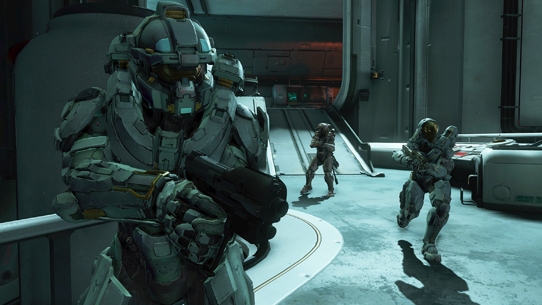 Yup that’s right, skulls are in Halo 5, and finding skulls returns as well! As fireteam leader, you have the ability to give simple commands to your AI-controlled teammates. Simply point your reticle and click up on the d-pad. Commands include Attack My Target, Go To Location, Use Vehicle (or turret), Pick Up Weapon and Revive Teammate. 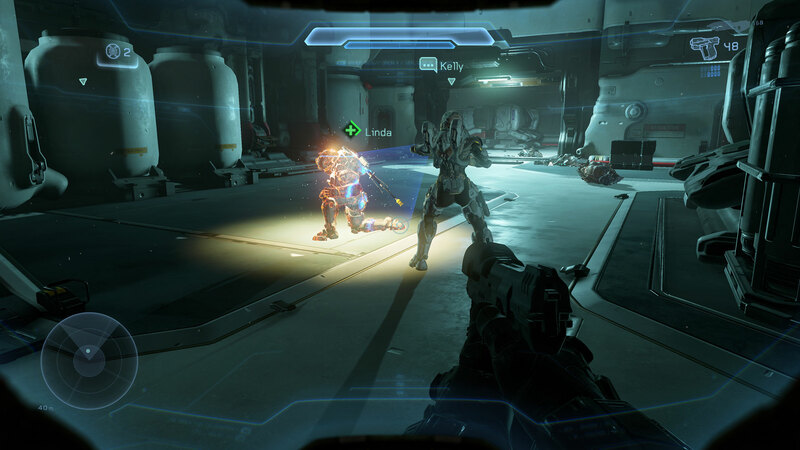 In Halo 5’s Campaign there’s a new revive mechanic. When a player takes too much damage they go into a downed state for a limited time before bleeding out. During this time players can revive you. As a fireteam leader you can tell AI-team mates to revive a downed player. The AI will immediately attempt to do so, and may die trying. If a player dies before getting revived they will respawn once the team makes it to a safe location. If all players are dead, you revert to the previous checkpoint. Also new is the Artemis Tracking system that only Fireteam Osiris members have thanks to their newer armor. It scans the area and highlights objects of interest. Weapon caches, vehicles, collectibles, narrative drops, and tactical opportunities like alternate routes which may contain collectibles or auto turrets waiting to be reactivated. Some alternate routes might require a Spartan charge or ground pound to break through and access the goodies inside. Members of Blue Team will be less reliant on tech and rely more on their own experiences. So they’ll have to find these things on their own. Throughout the course of the campaign the action will shift between these two teams. 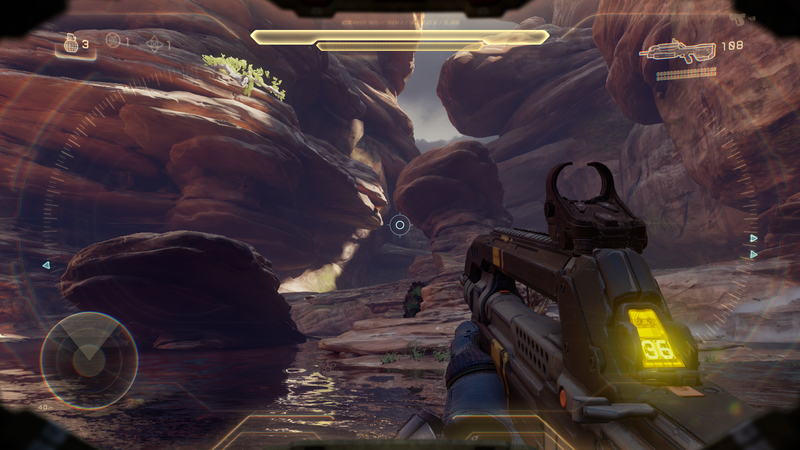 The Chief’s missions represent vital turning points within the story and pose questions the player will answer while playing as Locke and Osiris. Only by playing back and forth between the two teams will the complete story be told. Along with their differences in armor and tech, each of the 8 playable characters will also have unique HUDs which allows 343 Industries to convey a sense of identity and personality. 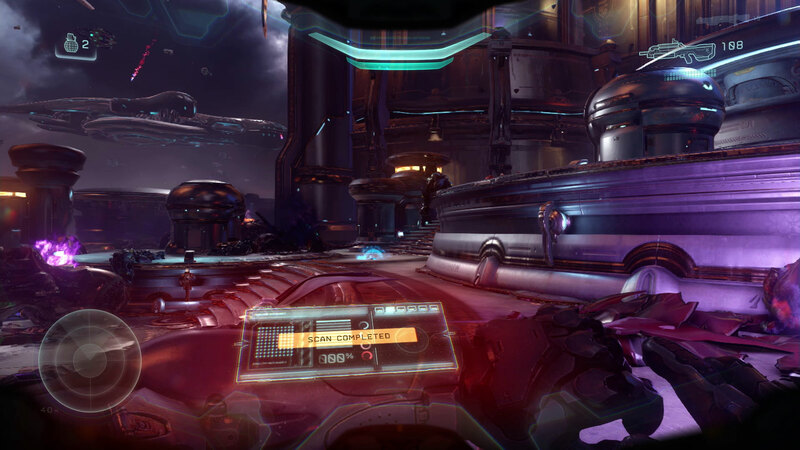 Here’s a look at Locke’s HUD – which has aggressive lines that follow the curvature of his visor – and here’s a look through Linda’s HUD which have muted tones that reflect her armor palette and represent her enhanced optics. There are also subtle differences in attributes between the characters. Kelly is the fastest member of Blue Team, while Tanaka has increase motion tracker range. I’m really excited they’re incorporating some lore like traits into these characters and I’m really curious to hear what attributes the other characters will have. Josh Holmes goes on to say that as a result in this heightened focus on co-op campaign the PvE aspects needed some tuning. Enemies are faster, more responsive, and generally more lethal. 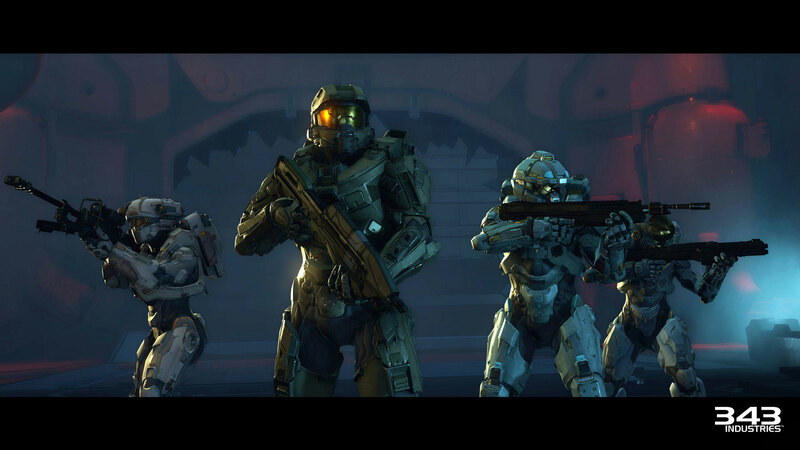 Many have been given new behaviours to make them more effective in dealing with a team of Spartans. The scale of the campaign experience that 343 is delivering with Halo 5: Guardians is far beyond any previous Halo game. With co-operative play as a focus, it has meant creating larger spaces with multiple vertical levels and intersecting pathways. Teammates are encouraged to spread out and explore, seeking advantageous positions from which to support one another. This also means there are a greater number of enemies active in a given area. 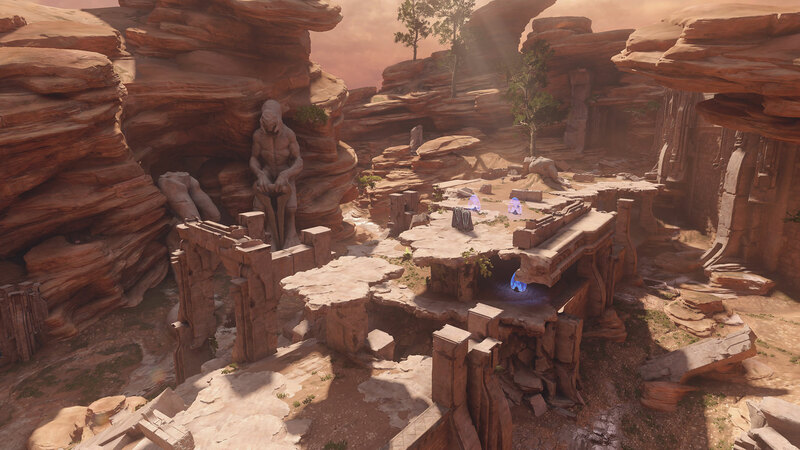 Holmes went on to explain the tough decision to remove split screen support in Halo 5, stating it was one of the most difficult decisions they’ve had to make as a studio. 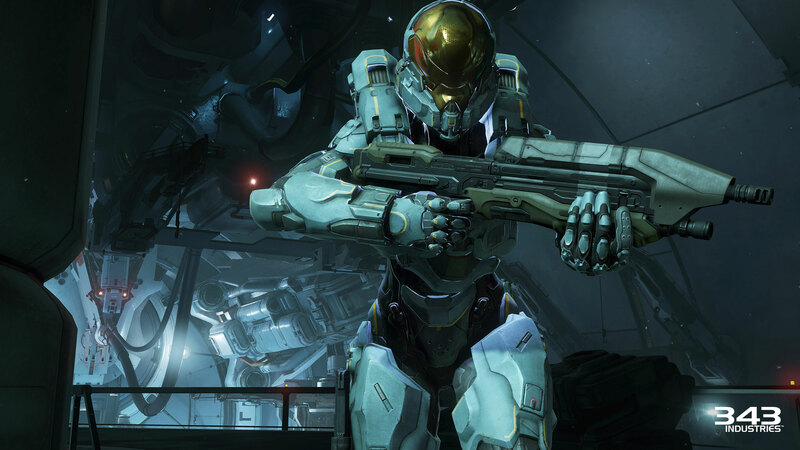 But in order to move the Halo gameplay experience forward and deliver a true next-gen experience – tough choices had to be made to support the scale, fidelity, and focus of the best quality possible. 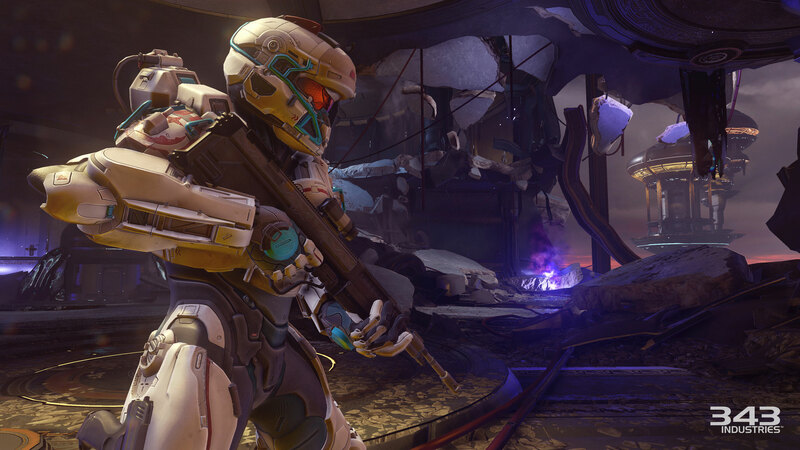 Halo 5 is delivering massive scale environments, improved AI behaviour, and increase visual and gameplay fidelity. Split-screen would have compromised some of their ambitious goals and would have removed time and focus from building other parts of the game. So there’s the most in-depth reason as to why the feature was removed. Sorry guys, no amount of pointless hashtags or petitions will change this. This entry was posted in Halo 5: Guardians and tagged 343 Industries, Halo, Halo 5, Halo 5: Guardians, video games, Xbox, Xbox One by Chief Canuck. Bookmark the permalink.